When I purchased this radio it only had one IF transformer, a General Instrument Corporation Type 17-B. 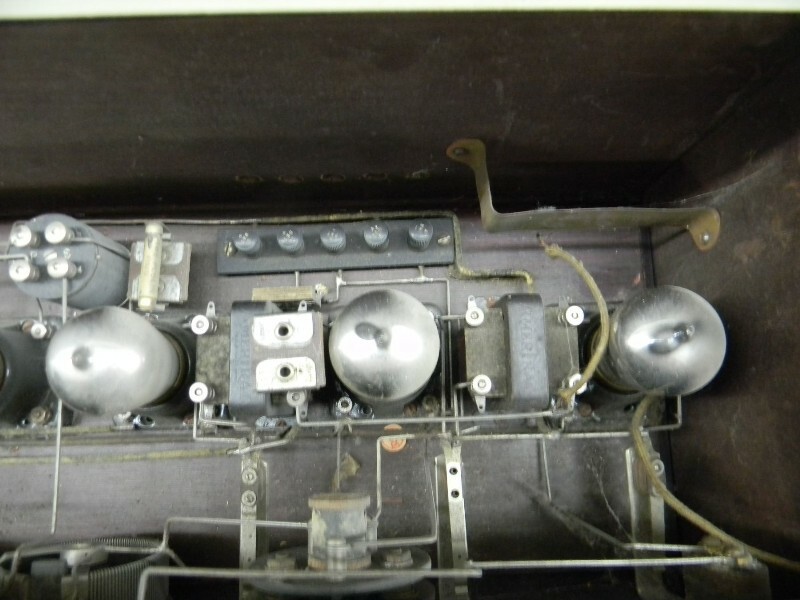 I don’t think this transformer type was original for the radio because there were numerous screw holes for each transformer, and the screw patterns do not match the General Instrument transformer. The builder may have actually tried several different brands of transformers to get good results. I initially wanted to restore this radio with a full set of General Instrument transformers. I am now considering to install a set of square Haynes-Griffin transformers. 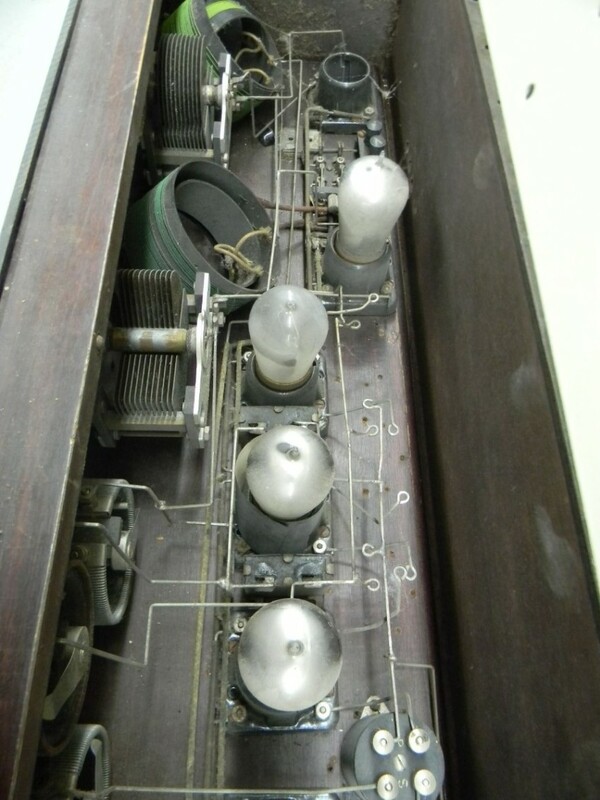 Inside view of the General Instrument Corporation Type 17-B IF transformer. All four ends of the copper wires were very brittle and they were broken near the solder joints. The diameter of the wood coil form is only about 1.4 inches. The repaired transformer was peaking at about 190 KC. I tried to bring the frequency down to 50 KC by resonating the primary with a .00068 mFd capacitor but the results were poor. The table below records the pass band characteristics of the transformer without the primary capacitor. The table below shows the pass band with a .00062 mFd capacitor in parallel with the primary winding. The relative gain (2.7) was much lower than without the capacitor. What’s more, there was a second peak at 190 KC with a relative gain of 3.0! I can’t imagine how this transformer was ever going to work at the labeled 50 KC. Restored General Instrument Corporation IF transformer.